NSUN is now a member of the VSCE Health and Wellbeing Alliance (which replaces the previous Voluntary Sector Strategic Partners Programme). This is through two important partnerships. 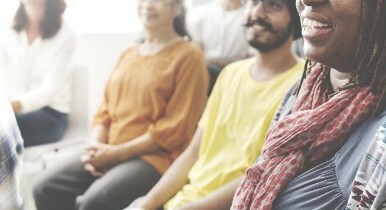 As part of the user-led Win Win Alliance - disabled people leading change (together with Disability Rights UK, Shaping Our Lives and CHANGE) and the Mental Health Consortia (together with Association of Mental Health Providers, Centre for Mental Health, Mental Health Foundation, Mind and Rethink). As expected, the current pre-general election period has affected communications about the work and how it will progress but we will provide updates as and when we receive them. The members manifesto 1 page summary has been updated. Take a look at the link at the bottom of this page. Researcher and NSUN colleague Alison Faulkner has published her PhD thesis online. 'Knowing our own minds: the role and value of experiential knowledge in mental health research' describes a journey through the author's experiential knowledge and research development to a position where an understanding of this contribution is achieved with the assistance of emancipatory and standpoint research paradigms. The ten papers submitted as part of this thesis by publication span a total of 12 years and a range of approaches including user-led or survivor research, user-controlled research and service user involvement in research. All of these terms are explored in relation to the ten publications for the different emphasis given to experiential knowledge and the relative power which that knowledge can attain. Social Policy and Criminology Expert Vickie Cooper discusses new book ‘The Violence of Austerity’ ahead of the elections. Billie, a claimant with severe mental health issues, has launched a legal challenge against the recent changes to PIP. The new regulations have made it much harder for people with mental health conditions to get an award of the mobility component. In January of this year the DWP lost a case before a panel of upper tribunal judges. Rather than accept defeat, the government rushed through new regulations which came into force in March. The effect is to make it much harder for claimants with a mental health condition to get an award of the mobility component of PIP. Billie (not her real name) has severe mental health problems which mean that she is extremely vulnerable when travelling. She needs a lot of support to do this reliably and safely. Billie was refused an award of the mobility component of PIP under the new regulations. She has launched her High Court challenge on the basis that the change in the law discriminates against claimants with mental health conditions and also on the grounds that the DWP should have carried out a proper consultation before deciding whether to bring in the changes. 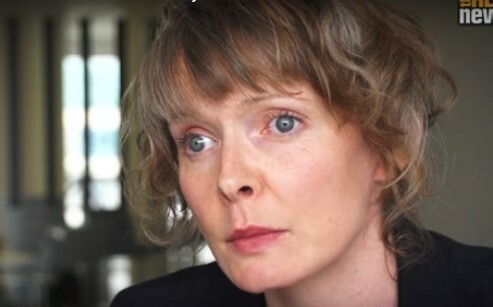 Billie and the Public Law Project are collaborating with human rights barrister Aileen McColgan of Matrix Chambers, who is working on a no-win no-fee basis. However, £3,000 is still needed to cover court fees and other expenses. Anthony, a film maker, is making some videos for DPAC to use in the election about cuts people have faced or problems people have had with social care or benefits cuts. anyone who has had to give up taking part in activities such as work, recreation or has loss of independence due to austerity cuts. Anthony is based in London and would prefer to interview who are in London or within a short travel on public transport to London, however it may be possible to arrange for him to get to other parts of the country. NHS England has co-produced a series of leaflets to help vulnerable patient groups, including asylum seekers and refugees, homeless people and Traveller groups, register with a GP. The leaflets advise patients on how to find a GP practice in their local area and assist in registering with the practice. The leaflets also ask practices to give an explanation when they refuse to register a patient. NHS Education Scotland has just published 'Transforming Psychological Trauma: A Knowledge and Skills Framework for the Scottish Workforce'. The framework lays out the essential and core knowledge and skills needed by all tiers of the Scottish workforce to ensure that the needs of children and adults who are affected by trauma are recognised, understood and responded to in a way which recognises individual strengths, acknowledges rights and ensures timely access to effective care, support and interventions for those who need it. UCL and the McPin Foundation are looking for a researcher to work on a study exploring the role of acute day units in the mental health crisis care pathway. It is a sessional role to support some qualitative research being led by UCL. Data will be collected from six sites across the country, interviewing service users, family members and staff. We need help carrying out these interviews and analysing the data using NVIVO. Peer research methods are being used, so this work would suit someone with expertise from experience both in terms of carrying out qualitative research and use of crisis services. Helplines Partnership are organising this course for people to learn how to respond appropriately and effectively to emotional and challenging service users. Through exploring and practicing strategies and approaches for managing these challenging interactions attendees will gain insight and confidence to deliver quality support within your service remit. 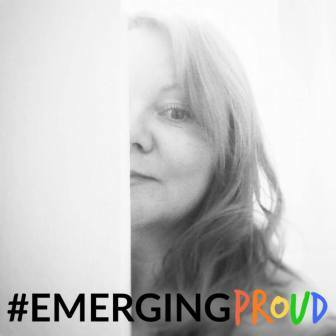 #EmergingProud is a grassroots campaign, social movement and film aiming to re-frame so called 'madness' as a potentially positive transformation process; a journey through breakdown to breakthrough. The film features raw personal stories of those, often labelled with a 'mental disorder', who now view their breakdown as part of a spiritual emergence process. Watch them #EmergeProud to talk about how viewing their crisis through the lens of spiritual emergence helped them not only to recover, but to be living their lives with more meaning and purpose than ever before. This film aims to change the paradigm of what the Western world currently views as a bio-medical disease, and premiered in 12 countries on 12 May 2017. 3) Campaign leader Katie Mottram could come and host a personal screening and post - discussion / Q&A session with some of the featured 'stars' of the film at your venue of choice - Email Katie for more information. On June 1st there is the opportunity to get involved in a one day consultation about a proposed research study into early interventions services for people affected by Bipolar. The research is a joint endeavour between University College London and Warwick University. The researchers are particularly looking for people who have Bipolar and have used services for it. Lunch will be provided, travel reimbursement if necessary and a £20 voucher for your time. It should make for an interesting day where you will have the opportunity to shape the direction of the proposal and speak directly with researchers involved. In a letter to the Daily Mirror, an alliance of leading academics, mental health charities and support organisations say five more years of Tory rule would create more stress and anxiety in people's lives. Between 2010 and 2015, spending on children’s mental health services fell by nearly £50m – more than six per cent in real terms. The Institute for Fiscal Studies has said that neither the Conservatives nor Labour are being honest with voters about the economic consequences of their policy proposals, the BBC reports.